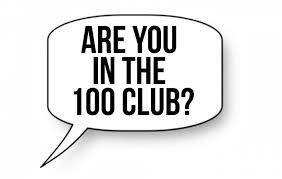 We have just launched the FAB 100 Club – a private lottery where subscribers buy a number from 1-100 for just £5 a month, and numbers taken are entered into a regular draw. Half of whatever money raised will be shared amongst three lucky people as prize money, so the more who sign up, the greater the prize! The remaining half goes to FAB funds to contribute towards stuff for the kids. This provides a monthly income for FAB and enables parents to support FAB fund generating without actually having to do anything!